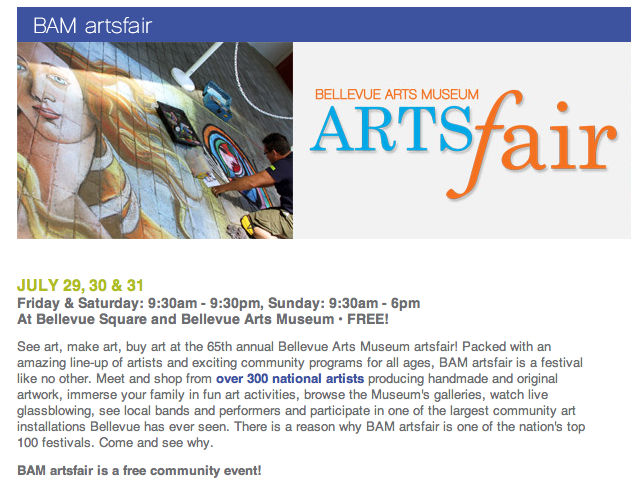 Bellevue Arts Fair Opens Today! This entry was posted in Uncategorized and tagged Art, Bellevue Arts Fair, Craft. ← Connecting Threads opens July 15th!